Greeting Cards Box – So Easy to Make and So Organized! It was a family members birthday recently (my one and only sibling), and at the very last minute, I found myself without a birthday card for her. It was then that I realized that I better practice what I preach. Although I did have some cards on hand, they were not organized and therefore I was left scrambling at the last minute. Well I am glad to say I shouldn’t have that problem anymore! Yippee! I went shopping and bought myself a cute decorative box. Luckily, I brought a greeting card with me to measure because buying a box that was the right size was actually harder than I thought. I added a oval shaped sticker and the words Greeting Cards using sticker lettering. I bought a large assortment of greeting cards and separated them with labels. The labels were made using card stock and stickers. I placed plastic behind the stickers for added durability. By the way, I was pressed for time, so I did not use my printer to print off labels which may have looked nicer than the hand written versions. However, our cards should be hand written and not signature stamped, so I guess there is nothing wrong with hand writing the labels as well. Some might say it looks more personable. As you can see, the above picture shows two different styles of labels. I am sure you can find other styles as well. I chose the one on the left, however, I am not sure why as I usually go for the more simple or modern look. I am now ready for the next time I will be needing a greeting card. Does it ever feel good to be this organized! 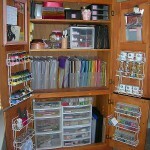 You too can be this organized. Take an afternoon one day and make one! If you would like one of these boxes but don’t think you have the time to make one, then feel free to contact me. I would be more than happy to make one for you. They would make a perfect birthday gift, a gift for a senior citizen, or anyone else that has a hard time getting out to a store to buy greeting cards. Kathy McEwan is a professional organizer and member of the Professional Organizers of Canada. Second Set of Hands is a concierge and personal assistant service that provides errand running, personal shopping, home and office organization and just about any service that is legal, ethical and moral. Contact Second Set of Hands today via email if you would like to subscribe to our promotions and get our blog sent directly to your inbox. Also, feel free to contact us for a free no obligation quote, or if you have any questions. We would be more than happy to help! https://www.secondsetofhands.ca/wp-content/uploads/2014/05/Greeting-Card-Box.jpg 281 500 Kathy McEwan http://www.secondsetofhands.ca/wp-content/uploads/2017/12/logo-800x267.png Kathy McEwan2014-05-04 09:34:032018-01-30 18:42:23Greeting Cards Box - So Easy to Make and So Organized! Organizing With Old TV Armoires! Amazing Transformations! 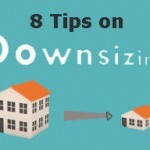 8 TOP DOWNSIZING TIPS!